The Fiat Panda was introduced in 1980, and was meant to be a city car for the masses; simpler but in the spirit of Citroën’s 2CV. 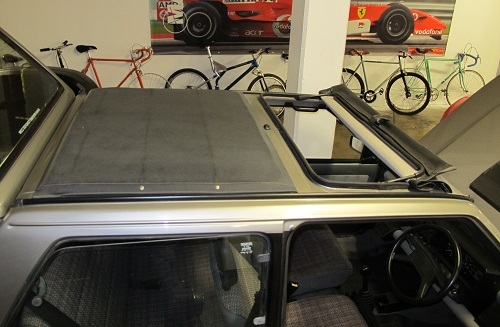 It was a no-frills utility vehicle designed by Giorgetto Giugiaro of Italdesign. 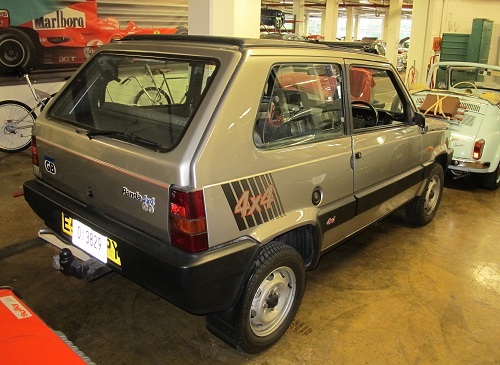 Giugiaro compared the Panda to a pair of jeans – simple, practical, and without frills. 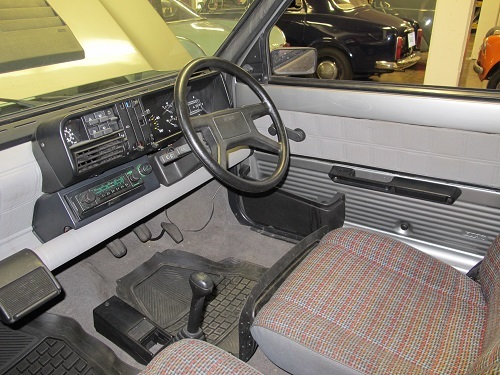 For practicality, it featured cheap, flat panes of glass, removeable and washable seat and door panel covers, and a multi-configurable, removable rear seat. The base model had a modest 2 cylinder 652cc engine that drove the front wheels. 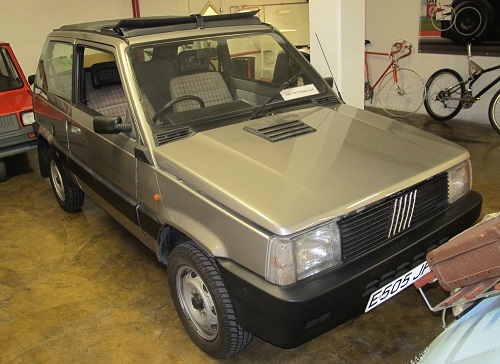 In June 1983 Fiat introduced the 4x4 Panda, developed by the Austrian company Steyr-Puch. It was the first small, transverse-engined production car to have 4-wheel drive. The Panda 4x4 had a larger engine than the standard Panda, and a 5-speed gearbox with a very low first gear for off-road use. 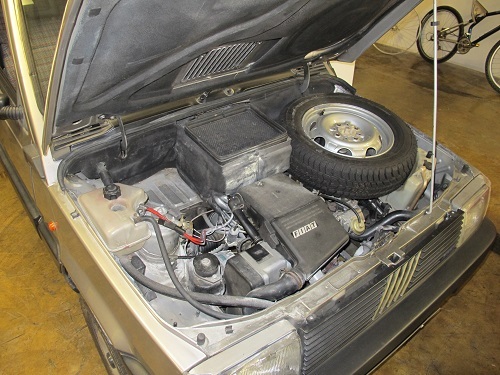 While the engine was made by Fiat, Steyr-Puch designed and produced the rest of the drivetrain, from clutch to rear brakes, shipping the entire package to Fiat for installation into reinforced chassis. 35 years later, the third-generation Panda still remains in production, a testament to its solid design.